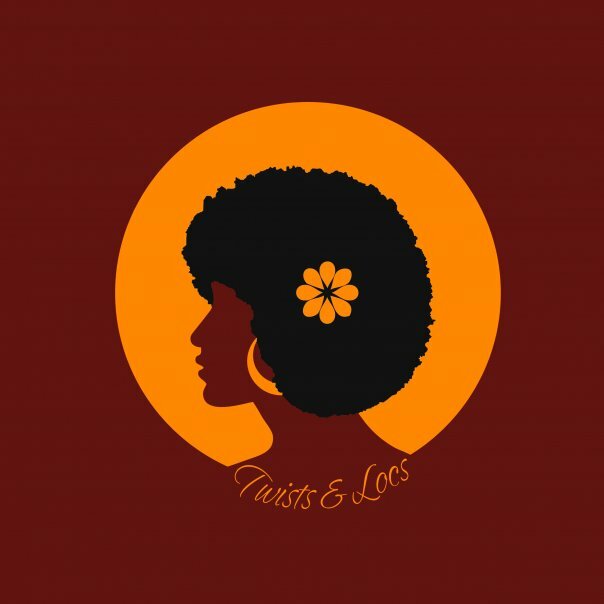 Twists, cornrows, locks-ing, plaiting and much more -if this is your hairstyle of choice and you’re in Ghana -head to the Twists & Locs Salon, located just off the Nyanbi junction in Osu, Accra Ghana. Twists & Locs Salon is more than just a trendy hairdressers that specialises in natural hair, they also offer support to the growing band of uber stylish natural hair lovers in [Ghana] a country known for channelling R&B video vixens [think fake Brazilian and Russian hair, fake eyelashes, bleached skin, painted-on-eyebrows, tattoos, fake nails et al]. 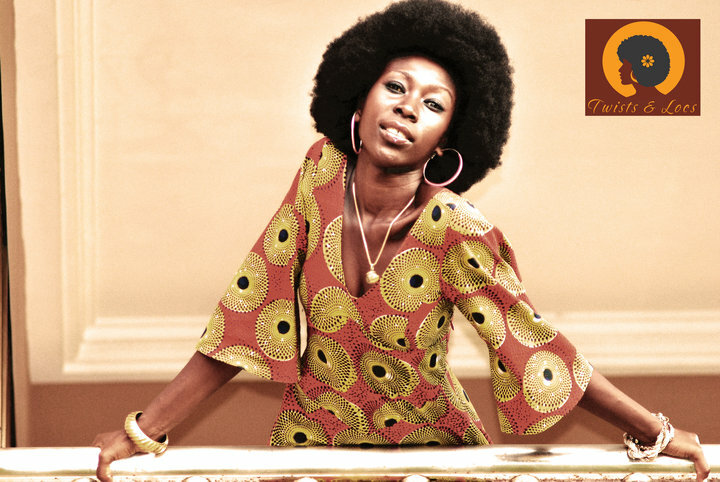 Going natural is a big statement -whether that’s the intention or not. I went natural a year and a half ago and things changed. I no longer have men opening doors for me, I no longer get wolf whistles and one of my mate [???] told me that I look too hard in the face -but you know what … I no longer worry if I get my hair wet, I can on most days -just shower and go and get this….. I feel much lighter and more in control. So I don’t care what folks think…even though for many -it makes them feel less pretty. 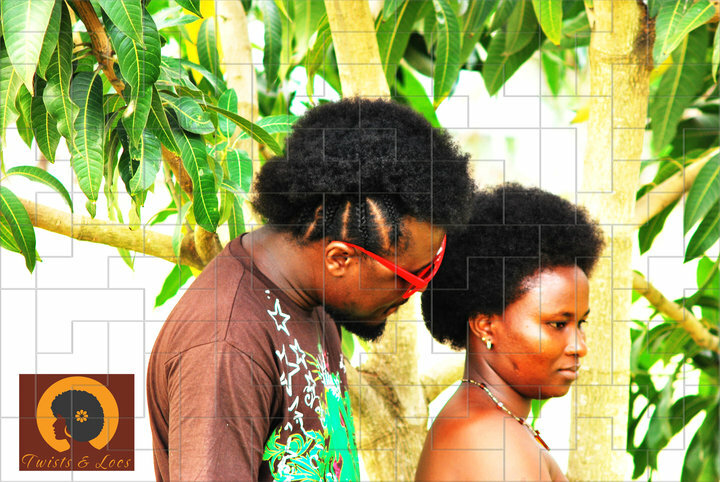 The Twists & Locs salon is fabulous -and an indication that things are changing in Ghana. 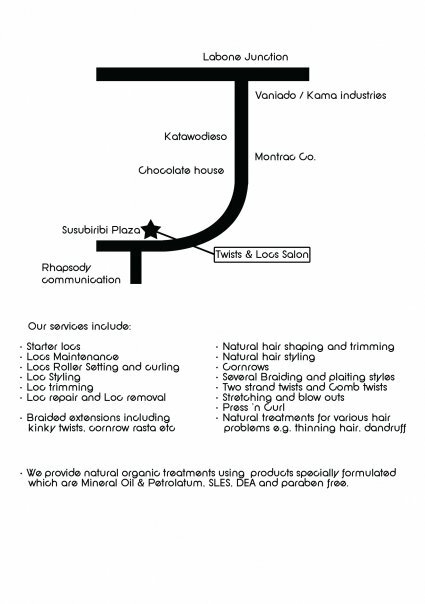 Its also good to know that on-trend/natural fashionistas have a hair salon that understands their needs. 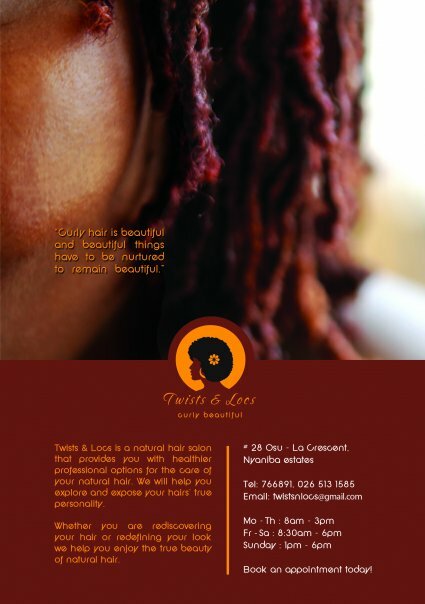 Twists & Locs is also at the very heart of trendy Accra. 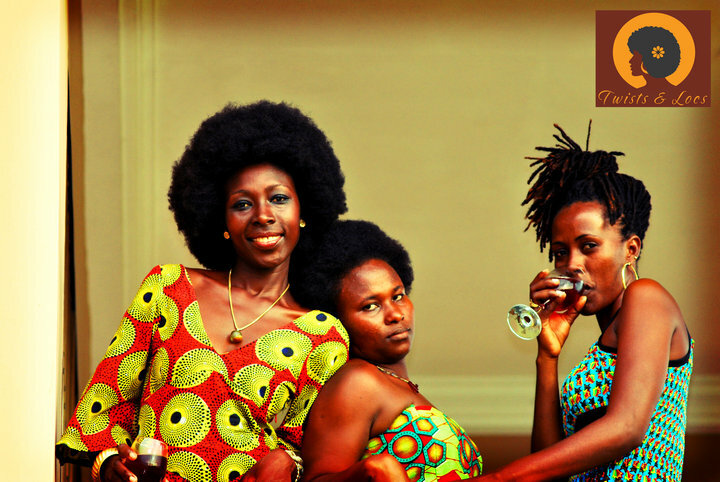 Their customers are part of Accra’s fashionable-young-things. 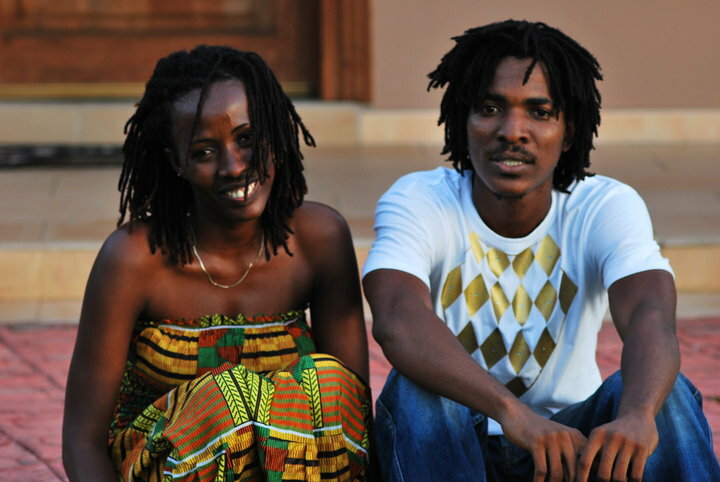 Stylish, natural/holistic lovers (they also love natural beauty products) -they can be found at many of Accra’s mushrooming art centres, they go to spoken word nights, listen to music by upcoming talent like Ghana Rising faves, Lady Jay and Jojo Abot at the nations numero uno creative hub (right now) -Alliance Française d‘Accra [http://www.afaccra.com/] based in Airport Residential Area and love the likes of: Wanlov the Kubolor, BLITZ the AMBASSADOR, Jay Ghartey, Manifest, Mensa [Ansah] et al whom -I believe has his hair done at said salon. Betty Acquah?s Energetic Art Collection. Music: ?Ship and The Globe? by Kae Sun. Jollof Pot Ghanaian Cuisine At Covent Garden, London. Woodin Fashion Shop Is Now At Accra Mall.